Mr. Delman Has Announced That He Will Take Action Against Anyone Copying His Ideas And Styles…Retail News Of The Week, Saturday, January 19th, 1929. Design by Henry Dreyfuss for Delman Shoe Company, 1929 (Cooper-Hewitt) Courtesy:Smithsonian Institution. « I. Miller Window Display, Houston, Texas, 1929. 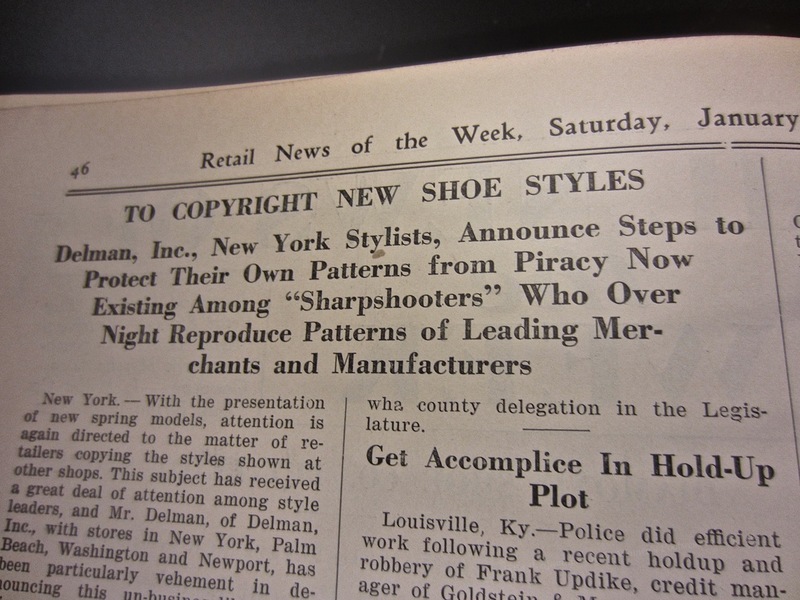 You are currently reading Mr. Delman Has Announced That He Will Take Action Against Anyone Copying His Ideas And Styles…Retail News Of The Week, Saturday, January 19th, 1929. at Women's Footwear in America.